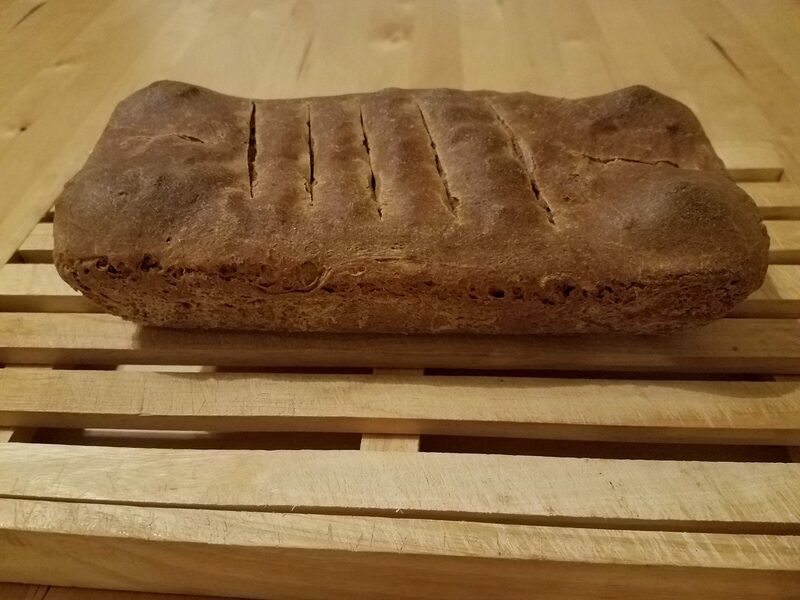 A few months ago, in May 2017, I wrote about Professor Zohar Amar’s attempt at recreating Shtei Halechem (שתי הלחם) – The Two Breads, commanded in the Bible (Leviticus 23:16-17) to bake in the Jerusalem Temple on the holiday of Shavuot. A couple of months later, in July 2017, I tried doing it myself, but better. I started by creating a Shtei Halechem recipe calculations spreadsheet which I used to convert the measurements mentioned in the Bible (Leviticus 23:16-17) and the Babylonian Talmud (Menachot (various location)) into modern measurements. I also had to significantly reduce the recipe so that it will only make a single small loaf. The original recipe used a huge amount of flour and made two humongous loaves. I did not want to waste all of the ingredients on something that would probably not work out the first time and was too big to eat. My main goal in this attempt was to produce the flavor, not the exact measurements. Since neither the Bible, nor the Talmud provide us with a recipe, but rather only with a basic list of some of the ingredients, I had to try to create a few options (3 to be exact), variations on the same recipe, to see which would work and taste the best. I discovered that the following measurements produced the best tasting bread. This recipe for 1 small loaf is a 1/6 reduction of the original recipe which made 2 large loaves. 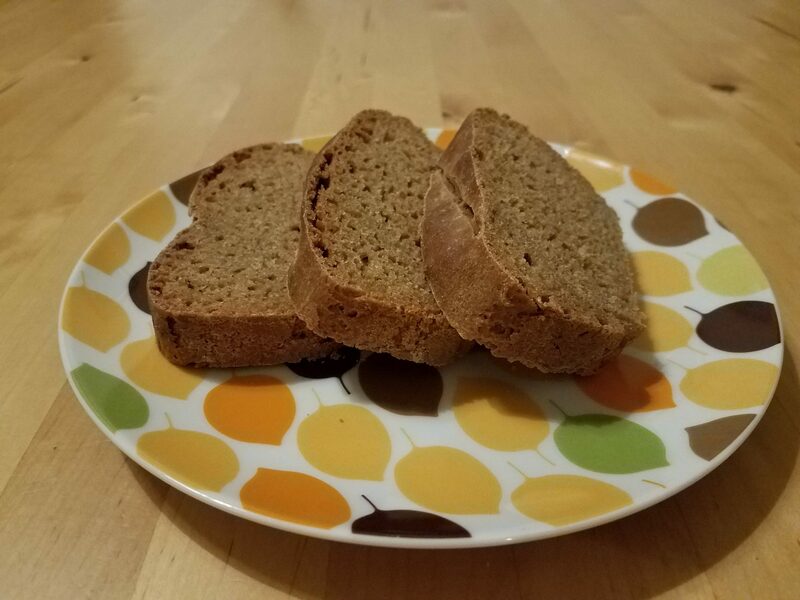 The flour that I used was Einkorn, which is an ancient wheat which would have been used in the Land of Israel during the early Biblical period. It was not used during the Roman period, when it was mostly replaced by Durum and may be Emmer if the flour was imported from Egypt. The Bible and Talmud only mention how much flour was used. They don’t say how much water and sourdough starter was used. The Talmud mentions that olive oil was an optional ingredient, which implies to me that even though they did not have to use it they most probably used it, since it improved the texture of the bread. Salt was another questionable ingredient, because the Talmud give conflicting information about if salt was used in this bread or not. On one hand, the Biblical recipe does not call for salt. On the other hand the Bible and Talmud require that all sacrifices in the Temple use salt, which would apply to this bread as well, since it was considered a sacrifice. Of course, they don’t say how much salt was used, so I had to guess based on common sourdough recipes. Finally, the Talmud is very specific about the shape of the final loaves. They were rectangular with square horns on the corners, to symbolize the shape of the altar. This was achieved by baking the bread in a mold. One this I figured out in my trials that the mold had to be made out of unglazed clay. It produces the best tasting bread. For this attempt I baked the bread in an unglazed clay bread form, but I did not have the square molds for the horns. So my horns kind of fell apart once the dough started to rise. As you can see on the photo they look more like bumps than horns. I am planning on fixing this in the next trial by getting either clay or may be metal square mold forms that I can put on top of the loaf and shape the horns inside of. The bread tasted good. It had a sour taste like sourdough is supposed to have. Kind of reminded me of Russian bread which I are when I was a kid. The starter I used was from Egypt, which was originally made by a bakery that was located near the Pyramids in Giza. I am still trying to get a starter from Jerusalem near the old city, so I can reproduce the same flavor that the Temple bread had. Another mistake I made is that I let the bread rise for too long. It was supposed to rise for 8-12 hours, but I had it rise 24 hours, mainly because the timing was interfering with my schedule. This was a big mistake. I missed the most opportune moment of baking when the bread was fluffiest, so it came out denser than it had to be. Also, I should have let the dough rise inside the mold, but instead it rose in a bowl and then I tried shaping it inside the mold and let it rise again. This did not work so well, because the dough developed a crust which did not like being reshaped. Will fix these mistakes next time. If anyone reading this happens to live in Jerusalem in the vicinity of the Old City and would like to make a sourdough starter for me, please email me at eli@ancientrecipes.org. Hey Buddy!, I found this information for you: "An Attempt at Making Shtei HaLechem (שתי הלחם) – Biblical Sacrificial Two Breads from the Holiday of Shavuot". Here is the website link: http://www.ancientrecipes.org/an-attempt-at-making-shtei-halechem/. Thank you.